Appeals to the Regional Administrative Court of Italy (TAR of Lazio) against the refusals of visa. Pursuant the Community Code on visas, an application shall be examined and decided on by the consulate of the competent Member State in whose jurisdiction the applicant legally resides. However, an application may be accepted from a person legally present, but not residing, in the jurisdiction of the consulate where the application is submitted, if he can justify why the application could not be lodged at a consulate in his place of residence. It is for the consulate to appreciate whether the justification presented by the applicant is acceptable. "Non-residing applicant" means an applicant who resides elsewhere but is legally present within the jurisdiction of the consulate where he submits the application. "Legally present" means that the applicant is entitled to stay temporarily in the jurisdiction on the basis of the legislation of the third country where he is present either for a short stay or when he is allowed to stay for a longer period of time while maintaining his permanent residence in another third country. For example, a Chinese professor has travelled to London to teach at a university summerschool. During her stay, her father, who lives in Italy, falls seriously ill and in order to travel to Italy the Chinese woman applies for a visa at the Italian consulate in London. The Italian consulate in London should deal with the application because it would be excessive to require the person concerned to return to her country of residence to apply for the visa. Instead, if a Moroccan national who spends his holidays in Montreal (Canada) wishes to apply for a visa to travel to Italy at the Italian consulate in Montreal, claiming that the waiting time for obtaining an appointment for submitting the application at the Italian consulate in Casablanca (Morocco) is too long, the Italian consulate in Montreal should not accept to deal with the application, because the justification is unfounded. 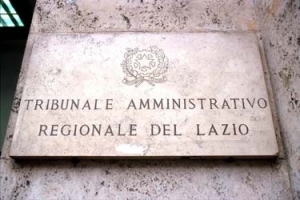 Against refusals of entry visa is always possible to submit an appeal to the competent court, which in most cases is the Regional Administrative Court of Lazio (T.A.R. Lazio). The assistance of an Italian lawyer is necessary, because the applicant cannot appeal personally. We are an Italian law firm, based in Rome, with recognized expertise in immigration matters and appeals against the Italian embassies and consulates. If you need our assistance, don't hesitate to contact us (click here).